My co-authored discussion paper “An Estimation of Social Loss Due to Suicide and Depression among Sexual/Gender Minorities, and a Survey on Income Disparity between Them and the Non-Minority” has just been published on the website of the Japan Institute for Labour Policy and Training! Abstract: As part of an attempt to understand the reality of social difficulties including bullying and harassment at the workplace, this study summarized social difficulties among LGBT (lesbian, gay, bisexual, and transgender) people who may be affected by a peculiar kind of harassment related to discrimination, namely SOGI harassment (harassment related to sexual orientation and gender identity), and estimated the social costs associated with it. Estimated social loss due to suicide and depression among LGBT people (provisional) amounted to 1.987-5.517 billion dollars (of which 0.993-4.183 billion dollars are due to social difficulties specifically for being LGBT). Also, a survey of previous studies confirmed that, although the income of lesbians is relatively higher than that of heterosexual women and the income of gay men tends to be lower than that of heterosexual men, the income difference varies highly depending on previous studies. As six months have been passed since I completed my comps in social stratification, I’m uploading my reading list here, for those who are interested. Please note that this reading list does not necessarily represent the whole field of social stratification. The reading list is tailored to my research interests. On Sunday, December 16, I will be presenting the results of “niji VOICE 2018” (A Web Survey on LGBT Issues and the Workplace Environment) at the Report Meeting of the “niji VOICE 2018” Survey, cosponsored by the Center for Gender Studies at International Christian University and the nonprofit organization Nijiiro Diversity. As of September 1, I have been appointed as a Research Fellow of the Center for Gender Studies at International Christian University. 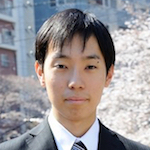 Although I have already been involved in a collaborative research between the nonprofit organization Nijiiro Diversity and the Center for Gender Studies at International Christian University as a Research Member since October 2013, I am excited to continue working on the analysis of “niji VOICE” (Web Surveys on LGBT Issues and the Workplace Environment)! On Thursday, April 27, Brian Serafini will be presenting our joint work “Beyond the Urban Core: Examining Variation in Divorce Filing Rates Across the Rural-Urban Continuum” at the upcoming annual meeting of the Population Association of America. This paper is co-authored by Brian Serafini, Julie Brines, and Daiki Hiramori. Abstract: Recent evidence has documented a rural-urban convergence in divorce rates, challenging the notion that marriage is more fragile in large metropolitan centers. Little research, however, has examined the correlates of divorce in non-metropolitan regions. We test whether county-level divorce filing rates vary along a continuum that captures rural-urban integration. We also test whether regional variation in divorce filing rates is a function of economic restructuring and “casualized” family relations, levels of religious conservatism and early family formation, or the flow of information and social capital between counties. Using 15 years of monthly data on divorce filings in Washington State, Minnesota, and Ohio, we find evidence that divorce filing rates are contingent on the extent that a county is integrated in metropolitan regions. However, how any why metropolitan integration affects county-level divorce filing rates depends largely on state of residence and whether or not the divorce involved young children. Next month, I am attending the Annual Meeting of the Population Association of America to present my poster “Social-Institutional Structures That Matter: An Exploratory Analysis of Sexual/Gender Minority Status and Income in Japan.” This work is based on my Master’s Thesis, and I am currently rewriting it for publication. On Thursday, April 27, Brian Serafini will be presenting our joint work “Beyond the Urban Core: How Place, Conservative Protestantism and Precarity Affect Divorce Filing Rates” at the upcoming annual meeting of the Population Association of America. This paper is co-authored by Brian Serafini, Julie Brines, and Daiki Hiramori. Abstract: Why are divorce rates in non-metropolitan areas within the U.S. approaching those of the urban core? Recent evidence suggests that non-urban regions exhibit higher rates of conservative Protestantism, encouraging early transitions into marriage and childbearing that elevate the risk of divorce. Other work suggests that non-metropolitan regions have suffered acute declines in labor force attachment among less-educated workers, accompanied by a “casualization” of family relations that may jeopardize marital stability. Using 15 years of monthly data on county divorce filings in Washington State, we examine both perspectives. We find that less “metropolitan” counties tend to have higher divorce rates, but that higher rates of evangelical Protestantism explain this finding only for divorces not involving young children. County-level measures of educational attainment and manufacturing employment affect filing rates in ways consistent with the “casualization” hypothesis, but among couples with children, these factors do not explain persistently-higher divorce rates in non-metropolitan counties. On June 19, I participated in the “Report Meeting on the LGBT Workplace Environment Survey: The Power of Data for the Improvement of the Workplace Environment in Tokyo 2016,” cosponsored by the nonprofit organization Nijiiro Diversity and the Center for Gender Studies at International Christian University, as a data commentator.